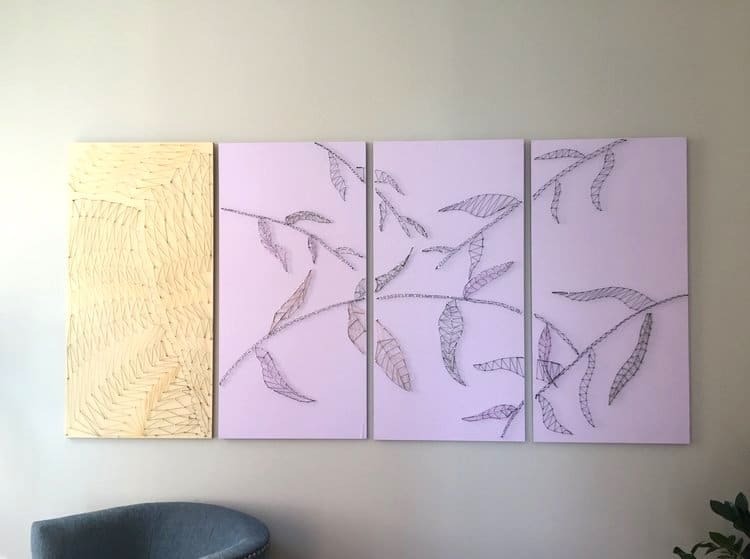 At The Yard, we love seeing our members make their space their own with office decor that highlights their brand and individuality. What better way to build awareness for your business than to create a warm, vibrant atmosphere that your team can look forward to and that piques the curiosity of fellow community members! 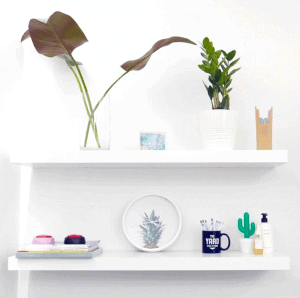 Want to learn what the best plants are for any office environment? Or how to make your office space pop? 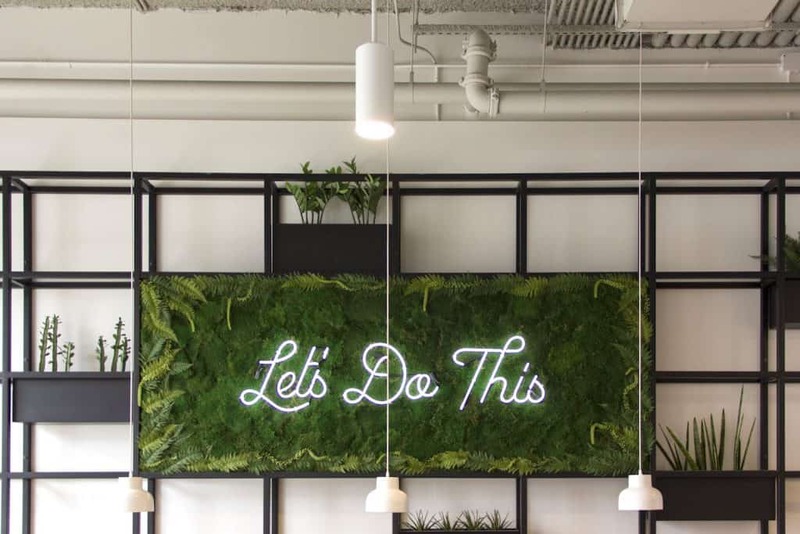 We sat down with our very own aesthetics expert, Michaeline Sander, Head of The Yard Art Program and Founder of Sander Design & Art Consulting, to discuss the best ways to beautify your office. Michaeline, what kind of plants are your absolute favorites and the easiest to maintain in an office environment? Aloe Vera: Aloe Vera Plants are not as finicky as some succulents. They like indirect but bright sunlight. Overall, they’re pretty great for an indoor space with light. *To note: If Aloe Vera is exposed to too much direct sunlight the leaves will burn and the plant will be damaged. Jade: Jade Plants are gorgeous and have more of a tree-like feeling to them. They are best in areas with partial sun. Spider Plants: Spider Plants are hearty indoor plants that need medium sun. These plants allow you to trim off new pieces that can be replanted. You can start with one plant and end up with many! Snake Plants: I love Snake Plants for their elegant shape. They need low light and are pretty low maintenance in general. ZZ Plants: ZZ Plants are my favorite indoor plants. They can grow very full, and the leaves are such a beautiful green! They can live in low light. Faux! You can’t go wrong with faux plants. Any tips and tricks for making your office space “pop”? My biggest piece of advice for making your office space glow is to be organized. Your office is a representation of your company and how you want your brand to be perceived. Once you’re organized, add in some vibrancy. Even something small can go a long way. Plants, flowers, and art installations add so much life to any space. How did you first hear about plant walls, and what do you love most about making them? Honestly, I’m not sure! I feel like I’ve been a plant lady for many years. Not long ago, The Yard asked me to replace a living wall with something that would be long-lasting. This particular wall didn’t get as much natural sunlight as others, and constantly switching out living plants is pricey and time consuming. I worked with my [architect] husband to come up a with a design consisting of faux and preserved materials that would stay beautiful for years to come with no maintenance. What I love most about making my plant walls is bringing the outside inside. I love giving people the feeling of being in nature. Plant walls can be an inspiring breath of fresh air for any entrepreneur and can create a welcoming atmosphere for communal spaces. I push for my designs to use faux and preserved materials so there is no pressure on the client to keep the plants alive once the wall is complete. They can simply enjoy the aesthetic. Depending on the design, the size of the piece, and the products I use, the build can take anywhere from two days to three weeks! Any favorite spots for buying plants? In New York, I love the Flower District (28th Street between 6th and 7th Avenue). This is one of my favorite places whenever I need a minute to relax or get inspired. Additionally, Sprout Home in Brooklyn has been a long-time favorite of mine. In the Spring, the Union Square Farmers Market also has gorgeous plants & flowers! My favorite spot in Philadelphia is Urban Jungle. It’s so cute and inspiring! Also, Ikea’s plant section is pretty awesome and well-priced! In Boston, I find the the courtyard at the Isabella Stewart Gardner Museum incredibly inspiring, and next time I’m in DC, I’m hoping to check out Ginko Gardens. How do you foresee designs inspired by nature changing the way we work? There has always been something so inspiring about the outdoors. When I was younger, I would always gaze out the window at school. Even now, I have my desk set directly in front of a window. 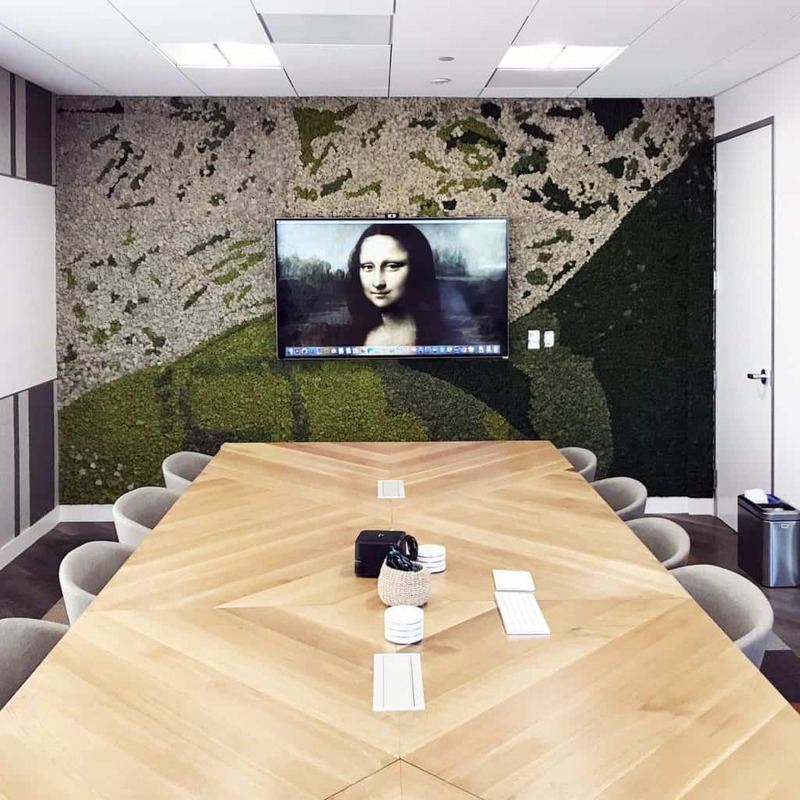 By finding a way to integrate the outdoors in your workspace you’re able to bring that natural source of inspiration into the office. When you bring nature into your office it becomes something you purposefully choose to encounter every day. It’s comforting, it’s energizing, and it gives you that feeling that you aren’t stuck inside. It brightens your day. Special thanks to Michaeline Sander for sharing her tips and tricks with us and giving us a look what makes her design aesthetic so magical! We’re incredibly grateful for all of Michaeline’s contributions to The Yard’s spaces. You can find her plant wall installations at The Yard: Lower East Side, The Yard: Lincoln Square and The Yard: Williamsburg and her string art installations at The Yard: Herald Square and The Yard: Lower East Side.